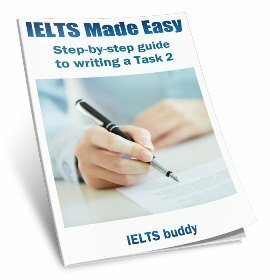 What if I have no experience of the part 2 IELTS speaking topic? What if I have no experience of the topic in IELTS Speaking Part 2? i have query that if in speaking part 2 the examiner asks me to talk about an accident you saw but in actuality i have not experienced any thing this then what should i say for part 3? Comments for What if I have no experience of the topic in IELTS Speaking Part 2? I assume you are asking what you should say for part 2 (not 3). You can't change the topic so you have to talk about it. It's usually something everyone will have had at least some experience of. It is unusual if in your life you have never seen any kind of accident. An accident can be anything really so you have to think about all the different possibilities - car accident (you may have just driven past one), somebody maybe falling over etc. It can cover many things. If you can't think of anything then use your imagination - think of accidents that maybe you watch on youtube. As long as you explain at the beginning exactly what you are going to talk about and how it is connected to the topic you should be fine. Join in and write your own page! It's easy to do. How? Simply click here to return to IELTS Speaking Forum. What if I know nothing about the part 2 speaking topic? What if I were asked to describe a cafe while I have never been to one in part 2? Hello everyone, this question suddenly came to my mind and worried me very much. My English teacher told me that I can lie in IELTS when I really got no idea on the topic given. However, I'm not a very imaginative guy, and I'm really concerned that I couldn't be able to make up a story in such little time. So, what should I do if I were really asked to give a description of something or somewhere that I have no experience about at all? Am I supposed to ask the examiner to change a topic for me? Comments for What if I know nothing about the part 2 speaking topic? You can't ask the examiner to change the topic in part 2 - you have to discuss the question you are given. I wouldn't recommend lying as you will have to invent a whole story for 2 minutes, but that is up to you. They are very general themes so it is very unlikely you will not have any experience of the topic you are given. What should I do if I get an IELTS speaking topic I do not know about? I have a question on speaking. Just wondering what I have to do if the examiner asking about some favourite english songs or book or story which I may not familiar. Can I tell about some songs or books in my native language? or Suggest me some examples please. Appreciate your help on this. Comments for What should I do if I get an IELTS speaking topic I do not know about? It's an international test so you would not get a topic associated with a particular country, such as asking about English songs or books. "Describe your favourite type of music / book." "What kind of music / books are the most popular in your country". What do I do if I know nothing about the topic in the IELTS Speaking cue card? what if I do not have any idea at all regarding the topic mentioned in the cue card? Comments for What do I do if I know nothing about the topic in the IELTS Speaking cue card? Unfortunately you cannot change the topic, so you just have to do your best. They are supposed to be topics that everyone should have some experience of so if you dig deep you should be able to come up with something. If you really don't have experience of it you'll have to speak of something as similar as you can, making sure you explain why your topic may be slightly different from the one on the cue card. It should not be a completely different topic though - it must be connected to the cue card. If the question is something you know little or nothing about. Don't panic. Try to turn the question around to something you do know about for example "When did you last see a child laugh?" If you cannot think of an occasion turn it around to what you do know like this "Well I cannot remember ever seeing a child laugh but I do remember when my best friend laughed so much that he crying ...... "
Remember Ielts is about speaking, demonstrating how well you know the language, so any answer is better than no answer!! Can I talk about a park which has flowers of different colors? Today I got the same question in my Speaking test. Is it okay if I describe about a theme park? Yes, it's really up to you. It can be any kind of place - a city, village, town, fairground, park, garden, beach, room, house etc. A 'place' can mean anywhere you want it too. You just need to make sure you explain how it was full of colours. Can we ask to change the IELTS cue card? Comments for Can we ask to change the IELTS cue card? No, you have to speak about the one you are given. If I am unable to speak on the cue card topic, how much will it affect my band? Comments for If I am unable to speak on the cue card topic, how much will it affect my band? The speaking test isn't as simple as that. You are graded on your abilities throughout the test and you are graded on various criteria. There is not a fixed penalty if you cannot speak on the topic on the cue card. Also, do you mean that you say nothing at all for the time period? Or do you mean that you talk about a different topic? Or do you mean you speak a bit but not enough? All of these things would produce different outcomes, so as I said it is really too difficult to answer your question. Of course if you said nothing in the part 2 talk you are likely to get a lower score than if you did do the talk. And if your talk is much too short it could affect your score. But by how much it is too difficult to say and it would also depend on how well you did in the other parts. Hi Buddy, just saw my result online. Got 6 in speaking as compared to the first where I had 7.5. All other module were alright with 8.5 in Listening, 7.0 in reading and 7.5 in Writing. I'm currently thinking of requesting for a remark. Pls what is your suggestion on IELTS remarking. Pls kindly respond to my question, thanks. About the remark, it's really difficult to advise you on this. I have no idea how good your speaking is. Some people are good at reading and writing etc buy maybe not so good at speaking. But do you mean you got 7.5 before in speaking? If you did, it does seem odd to now get 6, so a remark may be a good idea. If I misunderstood and you have not done the test before, have you had lessons etc? Has an IELTS teacher told you what kind of band you are for speaking? Again, if you have been told by an experienced teacher that you are around 7.5 then it may be worth a remark. That is all I can really say as it is impossible for me to know your level without hearing you speak. What if I made up an event for speaking part two? I've done my speaking test today. My question is in part 2 I made up some event that never happened to me and mentioned some names that never existed but overall I think I properly explained it with support. Does it matter if I just make up some stories? In part 3, I explained it well but I never expanded all my answers with example. Will it affect my score? Comments for What if I made up an event for speaking part two? The examiner can't know if you made up that story or not so it can't affect your score. Obviously a true story is recommended because if it's real you should have things to say without thinking so much. If you make it up then you may lose coherency a bit as you try to think of what you can say as you go along. The examiner though is just grading you on your speaking. It's impossible to tell you about your performance in part 3 without hearing your test. 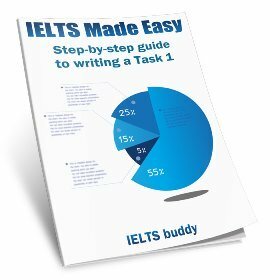 Hi friends..I got only 5.5 in my first attempt, then I followed this ielts buddy its a very nice page with lot of useful tips which helped me in my second attempt and i got a band of 6.5 overall. I'm sure this page helps you to improve your score. Once again thanx to ielts buddy. My writing and speaking score in last test was 6.5 and 7 however I need 7 and 8 in both respectively. I am very impressed with the writing tips mentioned here. Wanted to know more about speaking tips if possible. Hi i did my ielts speaking test and i didn't have an idea about the question I was asked. Will this affect my score? You are graded on your performance throughout the whole test so it is too difficult to know how or if a poor performance in part 2 may have affected your score. Really the only way to know is to hear your test and we can't do that. It's best to just await the result. I'm an introvert lonely guy, who has no experience in life. I do not have real experiences to narrate in ielts speaking test. So, when it comes to part 2 specifically any topic that I get I have to make up a story on it, and my family insists that I must take the test. I have to pass with a score not less than a band of 7 in each module. I'm struggling a lot with speaking and writing as I do not have either experiences to narrate in speaking or examples to support my essay when writing, but for me I need to take the ielts for immigration purpose. Any advice to improve speaking, and writing instead of reading, as I read a lot, but I only remember just slight things. I took the test twice, and got in speaking a band of 6. In speaking I did not make up a story in part 2. I just said that I do not have any experience to narrate. Never say "I do not have any experience to narrate" and then say nothing. That is a third of the test you are not speaking for which is a lot. If you say nothing in Part 2 (or other parts of the speaking test) it will really bring down your score. It doesn't matter if you are introverted or do not go out much, the topics for part 2 are very general so you should be able to find something to say about them. For example you get questions about favourite relatives or a place you've been to by the sea. You must have done some of those things, or even if you have not you then should just talk about something that is in some way related to the question - just lead the examiner into the topic you wish to talk about instead, but make sure you explain why you are doing that and make sure it's connected in some way. Of course that's not ideal, and really you should be talking exactly on the topic, but talking about something related to it is much better than just saying nothing. If you say nothing you will get no score for it. 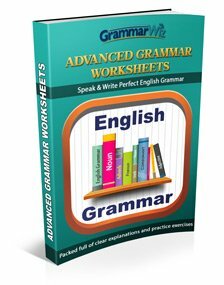 If you speak, even if it's not directly about the card, you could still impress the examiner with your fluency, coherence, pronunciation and grammar. But if you have to, make it up then, it's just easier to talk about something you are not making up and you actually experienced or know about. But either way, make sure you speak in the part 2 or you will get a low score for sure. 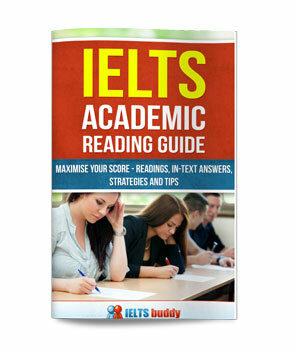 Latest IELTS Writing Topics - Recent IELTS exam writing questions.